Karin von Hippel conducted a week-long, NATO-sponsored tour of Afghanistan with a small group of researchers from Europe and North America. The group visited Kabul, two provinces in the North (Mazar-e Sharif in Balkh and Kunduz), and two in the South (Kandahar and Uruzgan). They were briefed by dozens of military officials, a handful of international civilians, and a smaller number of Afghans (this was due to the trip overlapping with Eid-ul-Fitr as well as NATO concerns about security). 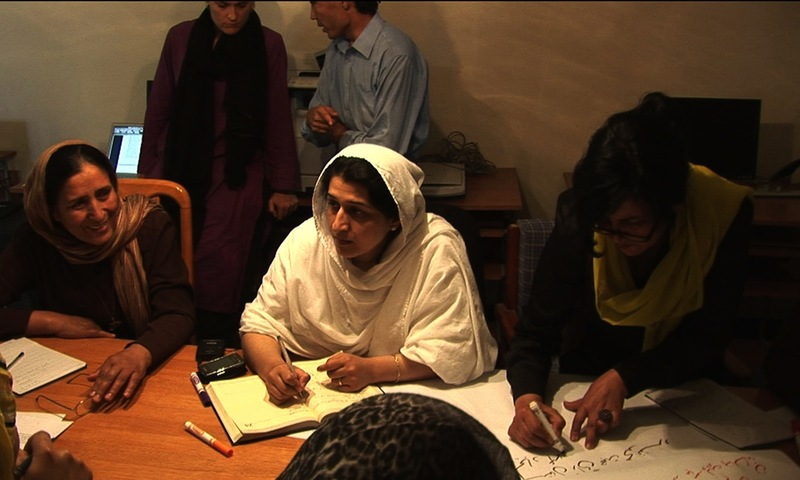 In the report, she analyzes two key challenges for Afghans and their coalition partners. Given the large number of excellent studies addressing many of the important governance, security and development challenges for Afghanistan, this report focuses on two key areas that have only recently been in the spotlight. The first is whether and how to talk to the Taliban, and the second concerns the lines of authority for the U.S. and coalition forces. Resolving these two issues would make a fundamental contribution to the overall goal of the mission, which is to build a safe, secure and effective Afghan state. This article analyses which of the major lessons learned from previous experiences in nation building have been applied or ignored in Iraq. It focuses on the first six months of the post-combat period, a time frame generally recognised as being critical for laying the foundations for a stable and democratic future. A review of previous cases points to six lessons that, in fact, have been unlearned, and only two that have been realised in this initial phase in Iraq. The current study is a follow-up to the 2005 baseline report In the Balance: Measuring Progress in Afghanistan. The report’s conclusions are based on 1,000 structured conversations that took place in half of Afghanistan’s provinces; 13 surveys, polls, and focus groups; 200 expert interviews; and the daily monitoring of 70 media sources and 182 organizations. Three of the report’s main findings are: Afghans are losing trust in their government because of an escalation in violence; Public expectations are neither being met nor managed; Conditions in Afghanistan have deteriorated in all key areas targeted for development, except for the economy and women’s rights. During a two week research trip to Pakistan in mid-April 2008, the PCR team interviewed more than 200 Pakistanis and several dozen expatriates in Islamabad, Rawalpindi, Lahore, Peshawar, Attock, Quetta and Karachi. The team met with the newly elected leadership, former generals, journalists, economists, nationalist leaders, trade unionists, diplomats, university professors, bloggers, ulema, aid workers, security analysts, leaders of the lawyers’ movement, and students at an elementary school, a madrassa, an Afghan refugee primary school, and a university.